I copied Elkagorasa over to the Beta realms around the end of July and he's gotten about 8 hours game play total. A family vacation to visit Mickey Mouse in the middle sort of put a damper on his time. 3 hours game play over the weekend. Unfortunately he is still level 80. I have been leveling as Destruction, even though it was the build I intended as my PVP build. Due to the build mechanics, I am casting soul fire with every spell rotation. It has a long cast time (almost 5s?). Rotation is : curse, bane, curruption, Soul Fire, Immolate (typically a dead mob), conflag, inc spam. Trainers are still not talking to me, so I haven't been able to try out the soulburn mechanics. I am hoping that I'll be able to train when I hit level 81. My goblin and worgen haven't had any trainer related issues. Random Dungeon Finder won't let me queue. I had an issue before Disneyland that prevented me from queueing, now that's been fixed, but haven't tried again. Haven't tried queueing for individual PVP zones, as it caused the issue stated in #3. Also PVP queue issue caused the "queue join" alert to go off repeatedly (bong bong bong). Hence, why Elk didn't get much game play. Quest drops have been all vendored. So far, nothing looks like an upgrade. (No add-ons in Beta, so I can't use my crutch, Pawn.) I am still sporting all my T10/Frost badge/ICC gear. Just joined a guild with my Goblin (hunter), going to get Elk in same guild, get nice +% leveling bonus. Maybe also build some 5-mans for the dungeons. There are two zones for level 80 players to play in, a water zone (I forget the name) and Hyjal. I've played both zones through the first 10-15 quests. 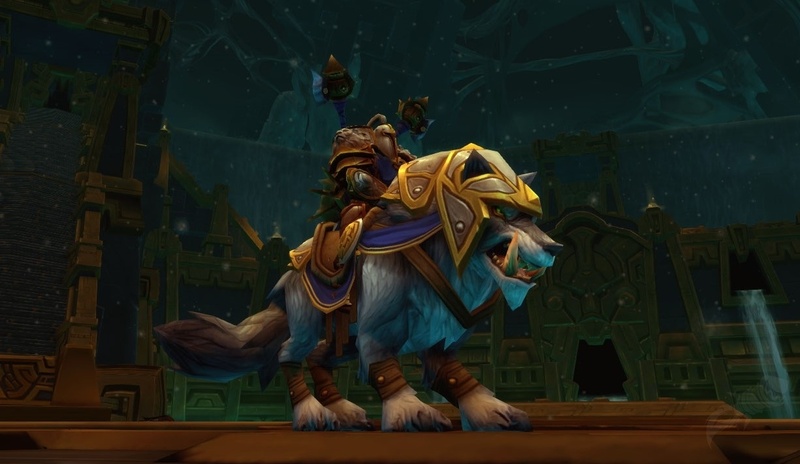 Hyjal seems a bit more 'epic' as the quests require a flying mount. So far the water zone is fun, lots of naga and those underwater goblins. Don't bother looking for that Unending Breath spell. One cool thing I found in Vashjir is an example of Blizzard's new auto-quest mechanism. If you enter a zone (aka breadcrumb quest), or pick up an item that has a "click to start quest" mechanic, you will get a popup about that quest automatically. Complete the quest, it will allow you to auto-complete the quest without seeing a NPC. Great for when we level up, and need the XP. Reforging of my gear was simple. See vendor next to enchanting trainer. Not sure if the mechanics are functioning for the +mastery I put on gear. More to come. I plan to continue leveling through a few more levels and as I mentioned I still want to get into the dungeons. Mostly, I'd like to test those new spells advertised in the many forum posts, etc..